In the South of the Netherlands, where I’m living, we are celebrating these days Carnival. In my village, which is these days called ‘Papgat’, carnival started today with some festivities. Even these days are the great changes in the world remarkable on all level, also these days. “Follow your heart. Trust on your own feeling and believe in yourself. A bird soaring towards the light. Oh it seems so normal but it’s special. The wind that blows through the trees. Oh it seems so normal but it is a miracle. The sky where the stars appear. remember the smile of a child. Yeah that makes you happy so that makes you laugh. Think of the sun and sing this song. I’m thinking this is a simple, good and well-meant advice of a common 11-year old boy. Trust on your own feeling and believe in yourself. No more holding back, its time to blossom. We are in a time of immense energy of epic proportions. The universe is giving us the energy we need to evolve into a higher state of consciousness. Everyone can feel the undertow of change subtly pulling on our society. It is a change well received, and well deserved. More people are realizing their true power as human beings, and their contribution to the global consciousness is now becoming a ripe investment. More and more people are waking up, some don’t even realize it yet…..but what was once hidden is now being revealed. The veil of this age is slowly lifting, slowly but surely. In order for the lights to come all the way some more changes are going to have to happen. Our global society as we know it is in for a massive shift. Religion, the sciences, our financial structure, and most world leaders are about to be flipped on their heads. The age of truth is upon us, the people will be given the opportunity to see behind the curtain of the reality we have been given. As the old saying goes, the truth shall set you free. Our false history needs to be shown in its true light. In order to provoke humanity to change, the truth must come out. Society is not the only thing going through changes. Our Earth is shifting as well. Not only is the sun bombarding our ionosphere with high frequency particles almost daily, but we are passing through the highly charged photon belt as well. We are currently closing two cycles of massive length. The first one is our solar system around the Pleiades that is roughly 24 thousand years, and the second…..our little 225 million year journey around the galactic sun. Both cycles were well documented by our Mayan friends hundreds of years ago. The high frequency light is boosting the vibration of the planet, and pulling us up with it. The Earth’s vibration, or heartbeat, first came into the mainstream around 1952 by German physicist Winfried Schumman. Schumman’s resonance was a coined phrase that symbolizes the Earths vibration. For thousands of years this was a steady 7.8 cycles per second. So steady in fact, our military developed their communication systems to coincide with it. When I say our planet is picking up vibration, this is actually a measurable phenomena. Sine about 1980 the vibration has picked up to about 12 cycles. It stops at 13 cycles. Once completed we will hit what is called zero point. Zero point is something that occurs every 13,000 years, and what many of the ancient peoples have been predicting for thousands of years. It has been called the golden age, age of truth, and the age of enlightenment. The magnetism of Earth will shift at this zero point, and will change Earth’s magnetic field. Guess who is connected to that? Our so called junk DNA is about to be activated, and we are going to emerge from this cocoon of limits. The amount of individual change that will take place will be directly related to how prepared our minds, bodies, and souls are. The name of the game is get rid of all the low vibrating junk, and float around on a higher wavelength. Oh yes, human beings have measurable wavelengths too. All creatures have magnetic fields. We are microcosms of the macrocosm, while also simultaneously being a macrocosm of other microcosms. It is an infinite pattern that repeats through out nature, but I digress. The higher vibration we have, the tighter the wavelength. The more compact the wave length the more contact points with our DNA. This enables our DNA to receive more info, and absorb more light. In contrast, the lower vibration we have, the longer and slower the wavelength resulting in fewer points of contact with our DNA. Thus the higher the vibration, the more energy we can take in. Emotions have a direct impact on our vibration. When we are angry, fearful, resentful, etc. our vibration lengthens and becomes slow. Where on the other hand, emotions that are happy, loving, compassionate, etc. causes our vibration to compact and speed up. In order to maximize the benefit of these tidal waves of transformational energy, it behooves us to maintain a high vibration and increase our receptivity. The more energy we can open up to, the greater the transformation. The takeaway? In this time of magnification, little things go long ways. It starts with changing ourselves as individuals. Let’s pull our head out of the mundane drama and step into a new reality, a grander perspective. Let’s embody the change that is taking place, let’s own it. By becoming the change we want to see, we are literally changing the world. Don’t be fooled by those who would have you believe you are insignificant. Just remember, you are not this body, you are not this mind, you are pure energy. We are all connected, this is fact. You are an immensely important piece of the grand puzzle, and now is the time to take your place. Can you see the light at the end of the tunnel? Human suffering is coming to an end. Change is nigh. A grand evolution is upon us. Take advantage of this once in…….well……. this once in a couple hundred million year opportunity. Greetings my most beloved friends. With the highest esteem and respect I offer you once more my loving energies and I bathe all of you in my essence of violet colours and my fragrances of Love. I am permitted to step forward again in this Now moment of your reality and, as always, I am grateful for this. The last message I have given through this beloved Twin Flame of mine dealt with Love and the aspects of Twin Flames. It was my pleasure to bring a message about those topics but today I am going to talk about something entirely different if you allow me. Today I would like to elaborate on the coming times where the next constructive energies are getting ready to build your reality in your lives and in your experiences. There are 2 choices you can make concerning those energies. EITHER you choose to not do anything with them although you integrate them for a later date when you feel you will be ready OR you start working and effectively do something with them. No matter what choice you make, all will be accepted with the heart and the Love and will be respected from our position of Being. No Master of the Light will force you to take a road you don’t want to take even if it is the one you ultimately will choose to take later on, or even if it is the best choice for you as seen from the stance of having an enlightened experience. No, my beloved friends, we as Masters of the Light do not work that way. We merely watch what you all choose to experience and to create and only when we feel that certain loved ones experience hard lessons and are having difficulties than we jump in to assist wherever we can. We never leave a beloved soul on its own, never! Now I hear questions arise such as for instance :”why do we never notice or sense anything of this?” Well, my beloved friends, this happens for two reasons and two reasons only …. Just as duality and polarity have two sides, you have two halfs and various energies, light and dark, male and female… Either you are too open and absorbed by it all in such a way that you start looking in places where it cannot be found and by that I mean : outside of you. In such case it will never really be clear as long as you keep looking on the outside world of separation and division. The solution to this is simple : stay within yourself, seek and sense us within your heart. When the heart glows with warmth and love it is a sign of our presence. The more you feel us inside yourself, you being a part of our Being and we being a part of your Being, the more this reflects in your Being and, as a consequence, also in the world around you. It is a matter of having faith in your connection with us, but above all, believing in the connection with yourSelf. Accepting and loving yourSelf, opening up to yourSelf is a prerequisite for you to accept yourself in the heart. Only than can the connection be made with us; another You. The other reason can simply be that you do not believe in it, that you do not trust it or that you do not open yourself to it. This in essence implies that you choose to not accept us in full confidence mostly because of fears, lies, anger, mistrust, lack of self-love… the list goes on and on, don’t you agree?! In such case it is just a matter of working on this by accepting yourself in all love and trust. “Time” and the process of awakening both play an important role in all of it and even this has to be respected as each of you has his/her own alarm clock programmed to wake you in time out of this dualistic dream, for it is just that, all things considered. Well, now that we have amply explained this issue, we can proceed with a deeper knowledge about yourSelf. You all are a spark of Love, God’s Being. This you have certainly been told many times and now it should once and for all be known and accepted fully, don’t you think my beloved friends? It doesn’t involve the ego nor self-aggrandisement, you being a spark of God is a fact so do not let your ego tell you this but feel it in your heart when you say to yourself :’I Am God’s spark of Love’. How does that feel? Does your heart begin to glow in the fire and flame of Love? A little tip from me to you : when you want to know when your ego is talking or when the truth is revealed is through the heart. You can only FEEL it, you cannot get the truth through reasoning, only through feeling. Before we continue now with the essence of yourSelf we arrive at the next possible obstacle which implies all outside influences. Yes, my friends, this is the greatest challenge by far! You are right as this is indeed a most awkward obstacle when you get lost in this through your ego. It is in the meantime commonly known that all outside influences are all too often reflections and mirrors of yourself and your inner emotions. It might deal with karmic contracts but it could just as easily be average reflections of yourself. What to do when it deals with a mirror of yourself? That’s an important question to ask, wouldn’t you agree? It certainly is! Well, my beloved friends, the solution is way easier than originally thought. Let me explain why. Whenever you are confronted with such a reflection of your inner self, the first reaction is often the feeling of confrontation followed by indignation and even denial while you know very well that it is you doing or creating it. There’s nothing wrong with that, with this creation, as it obviously happens for a reason. Even the reason for this is simple : you effectuate it because you need to shift this and your perceptions have to be adjusted, tweaked, fine-tuned whereafter you will get reflected on your path what you need to feel, experience and be in order to be able to reform these perceptions and, accordingly, to make your shift in this. So look through it all and do not let your ego tell you how to respond because responding is not the right method to deal with this. Rather, feel from your heart and grow because of it, that’s the best method. If need be, place yourself in a cocoon of love and light when you feel tempted to respond through emotions (pertaining to the ego) and rather be your heartfeelings which reflect your genuine, deep self. Once all those challenges are but a mere insignificant small sticky thing that tries to attach itself to your soul, you will be able to reject what others think, feel or say about you. It is completely dissolved! From than on you can evolve into your true essence of being. The essence of your being. Ah yes, we are truly growing or rather re-growing into that essence. My beloved friends, there is no reason to fear yourSelf, to deny yourSelf this beautiful spark that you are. You carry all the aspects of your Being inside yourSelf and you are huge in consciousness and extremely beautiful in Light. Would you please accept this once and for all from your heart and allow yourself to grow, further and further, until you reach your destination : being the Goddess/ the God that you truly are, that you are a part of. You are deeply loved by everything and everyone, by the whole of the universe! So why is it that you cannot accept yourself, 1 single person in incarnation?! Firstly you will have to start loving yourself before you can love another you and accept in your life. Love is all, Love really is what it is all about; Love is all that is! Including you! So love yourself, accept yourself. I can guarantee you, my beloved friends, we accept you, we love you and we are always ready for you! With all my deepest love, respect and friendship, I greet you. Master Saint Germain and Merlin; aspect of Saint Germain. Dratzo! We arrive today to discuss your prosperity! Throughout your world a massive switchover is underway. Eons ago your reality was usurped by the dark and these ones created a ruling caste of minions who have run your planet for millennia pretty much as they pleased. We come now to tell you that this unruly free hand is over. The Light has not only decreed but also explained fully to all concerned that this world is to make a wholesale shift to the Light and each of you is to be transformed into fully conscious Beings of Light. This will be preceded by a series of special broadcasts which will announce our benevolent presence and explain the reasons for the spread of universal prosperity and freedom which you so richly deserve. We come in this moment to declare this to you and to be the heralds of a new realm predicated on the divine ways of Heaven. Our ships encircle your world and are stationed around every planet in this solar system. Your dark ones have tried to make it more difficult for us to complete this sacred mission but their many attempts have failed. The dark must leave shortly and relinquish their minions to the fate that Heaven has chosen for them. In the new reality, you return home to your family and leave behind you the death and disorder which have plagued your lives since the fall of Atlantis. Your special residences in Agartha await you, and here you will find the magical devices which are to return you to the state of Being you enjoyed when Lemuria prevailed over the world. Here, too, you will rediscover your real life paths and become valued members of the Galactic Federation. During your journeys through the darklands, your experiences provided you with much new wisdom, and Heaven wishes you to share this knowledge with the former members of the now-defunct Anchara Alliance, as your mission is to cement a lasting peace between all sectors of this galaxy. The prosperity and freedom which you are about to enjoy are symbols of what you will achieve, and indeed, Heaven sees you as a major player in bringing Light to all aspects involved in forging physicality. You are to be honored and accorded great respect and proper recognition for your hard-won contributions to the divine plan. The up leveling of your global society will create more fitting conditions for you to be reintroduced to your galactic origins. This will refocus your primary concerns upon Gaia’s state of health and well-being, which will demonstrate to you the grand potential that lies within you. It is this potential coupled with your rising spiritual awareness that is most important to us as they speak to the immense innate abilities within each one of you. It is our responsibility to assist you to bring these forth and to use them to fashion a new and vital star-nation. We come, therefore, to carry out what you have long wished for. As you know, the dark has been unrelenting in its efforts to prevent these changes from manifesting because such changes would automatically ring the death knell of all that the dark has been working toward. Nevertheless, our divinely decreed task was to forge the conditions that would permit the planned, benevolent changes to come to the fore. This we have done. And it is why you now stand on the brink of startling changes which will transform forever this sacred world and allow the creation of a new star-nation. This new realm will allow you to grow not just as an individual but also spiritually, allowing you to encompass new worlds of consciousness. As we often tell you, you are a wondrous creation that was led down a path that would allow you to experience the ways and misdeeds of the dark. Now you are ready to leave all this behind. Your new world will reunite Gaia’s surface and inner realms and you will see ‘reality’ in ways you cannot presently imagine! 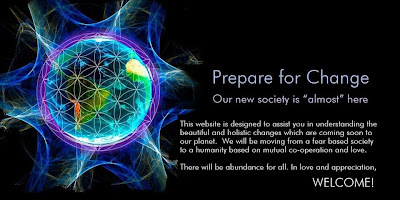 Your rising consciousness is to provide you with a new view of what life is about, and already, many on your world can see an end to amateur and professional sports and the demise of sports leagues, and changes far greater than these are coming. There is very little about your present social constructs and philosophies which will not be transformed as the attitudes they reflect shift profoundly. The resulting nascent galactic society will need to accommodate your ever-expanding view of yourselves as quickly maturing galactic Beings of Light. You will become enthralled as you learn about this galaxy as a grand living unity that you are a part of! Your new star-nation will become highly treasured and Loved by all who make up physicality. Blessings! We are your Ascended Masters! We come today with more good news! Until now, your world has long been the residence of a dark cabal whose sole purpose was to shackle you to debt slavery and coop you up in a realm that put a cap on your return to full consciousness. This ‘cage’ and its dark jailers are very shortly to disappear as your world is now ready to be transformed by Light. The leaders of this coming world of Light have fought for decades to get rid of the dark and indeed a movement is well underway which has so far completed all the preliminaries to wrest from power the ruling caste of minions who still plot to ensnare you permanently in a very dark realm! A special group is now in charge and it is these dedicated ones who will present your new governance and oversee the disbursing of a divinely decreed prosperity to this globe. We hereby declare that these associates are now preparing to announce the gist of these many broadcasts. Our blessed tasks are to uphold these changes and then to supply you with a series of teachings, delivered by each of us to every part of the planet, along with guidelines for applying them to your lives. Generally speaking, you have unquestioningly accepted what was promulgated far and wide in our names and these doctrines now need adjusting. An understanding of the grand unity that is All That Is is a prime requisite for ascension. Your beliefs also must expand to include the wondrous Beings of Agartha who have kept us safe among them for millennia. They understand the spiritual nature of humanity and desire to walk freely and openly among you. Your heart opening also needs to extend to your ancestors’ ancient homes in the stars. In short, you will quickly come to see that the seeds of Spirit run deftly throughout the length and breadth of physicality! We long to guide you, to assist you, and to set the record straight about our words to you throughout the ages. We have watched the dark ones take our messages and twist them to suit their purposes. And as we love to tell you, this is now to end! Love and unity has always been our message to you. 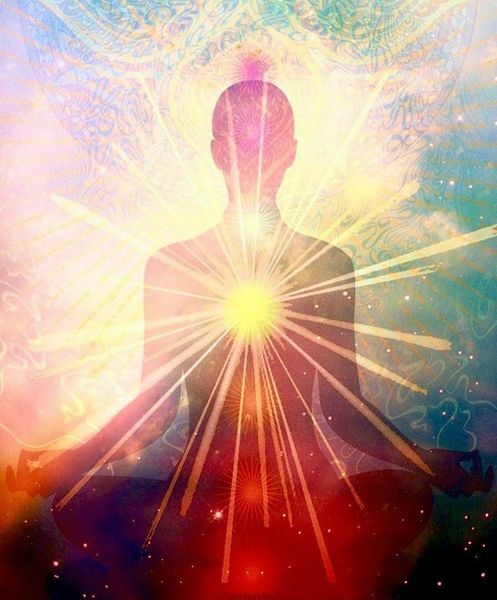 Great Beings from across the galaxy have come here under divine guidance and their mission is to assist us in advancing you quickly to full consciousness. We intend to use the upcoming time to teach, to advise, and to prepare you for your own blessed ascension. We will be by your side as we guide you toward a new society which will morph into your new star-nation. As we do this together, we will be helping this galaxy and using our powers conjointly to change this galaxy in every respect into a glorious, blessed instrument of the Light! This is why we come in prayer and power to bless this new world! Hallelujah to Heaven and to the Light! Today we continued our messages of peace, joy, and Light. Everywhere, a new epoch is descending from Heaven to suffuse this realm with prosperity, freedom, and the reunion of us all with our local and far-flung brethren. This great welcoming-home mission has reached its sacred crescendo! Know, dear ones, that the countless Supply and never-ending Prosperity of Heaven are indeed Yours! So Be It! Selamat Gajun! Selamat Ja! (Sirian for Be One! and Be in Joy!